Okee dokee folks…Summer has unofficially ended. A couple more weeks and we officially move into autumn. The summer was full of great music and listening opportunities. The fall will be no different. There are still plenty of indoor and outdoor events to catch your ears. I will write about them if my computer cooperates and I don’t toss it out the window! Grrrrrrrrrrrrrr… Read on. I am excited! One of my favorite performers, Michelle Malone, is coming back to Rhode Island. It has been about five years since Malone has performed in the OceanState. My friend, Anne from NYC, originally turned me onto Malone back in the 90’s. Anne had good taste in music and she also gave me my dog, Zoey, so how could she be wrong? The first few times I was able to see a Michelle Malone show I had to travel to NYC. It was well worth the trip. If you are not familiar with Michelle Malone, you should be. Over the course of her 20 year career, she has won numerous awards and her albums Sugar Foot and Debris, were both on the Grammy Award ballot for best Contemporary Blues and Best Americana Albums. Her songs have appeared in films and television programs such as True Blood, Dawson’s Creek, Felicity, Brooklyn South, and have been recorded by Indigo Girls (for which she received both gold and platinum records) and Antigone Rising. Malone has collaborated in the studio and on stage with such artists as Elton John, John Mayer, SugarLand members Jennifer Nettles, Kristen Hall, and Kristian Bush; Indigo Girls, Shawn Mullins, Little Feat, Albert King, Charlie Musselwhite, Johnny Winter, ZZ Top, Robert Cray, Steve Earle, KT Tunstall, Shawn Colvin, Jackson Browne, James Taylor, Joan Osborne, and Ellen DeGeneres. Malone has played every state in the Union and toured all over the world and she is currently out playing shows in support of her latest studio album, Day 2. The songs for this release were all written at her own green kitchen table, coffee mug in hand, every morning for nearly a year. She even wrote them on an old Alvarez acoustic guitar that never gets played out on gigs – it never even leaves the house. The CD was produced by longtime friend of Malone, Grammy Nominee Shawn Mullins. “Day 2 is an eclectic roots record with its feet firmly planted in the Southern Americana and blues traditions, and its head in the lyrical sphere of luminaries like Patti Smith and Nashville era Bob Dylan.” says Mullins. If you are in need of drawing comparisons to figure out if you would indeed like Malone, then imagine the voices of Sheryl Crow and Linda Rondstat combined with the songwriting of Lucinda Williams and the guitar abilities of Bonnie Raitt. How’s that? Better yet, just get out to hear her. She will be taking the stage at Indigo Lounge in Coventry on Wednesday, September 18th at 8pm. For more, moan your way to www.MichelleMalone.com. Back in the days of arena rock nobody could command a crowd better than Freddie Mercury. He was the king, err, Queen. If you miss Mercury or never had the opportunity to see Queen live, you can catch the next best thing – “The Queen Extravaganza.” The Queen Extravaganza is a spectacular touring concert show designed to take the music and live experience of legendary rock band Queen and bring it back to the live stage. Two of Queen’s original members and songwriters- drummer Roger Taylor and guitarist Brian May, are the masterminds behind the show. Taylor personally has taken on the role of producer with long time Queen keyboardist, Spike Edney, as global music director. Legendary singer-songwriter Graham Nash, a founding member of the iconic bands The Hollies and Crosby, Stills & Nash, is coming to Rhode Island to perform at the Park Theatre in Cranston on Thursday, September 12th. For Nash’s solo U.S. tour, which kicks-off in early September during a break in the Crosby, Stills & Nash 2013 tour, he will perform a special series of “An Evening With Graham Nash” concerts across the east coast. During the tour, Nash will perform as a trio, accompanied by James Raymond on keyboards and Shane Fontayne on guitar – who are also part of the Crosby, Stills & Nash touring band. Nash does not often tour as a solo performer, so this is a wonderful opportunity for people to see him in an intimate venue. Graham Nash is one of few musicians to be inducted into the Rock and Roll Hall of Fame as a member of multiple groups. He is also a member of the prestigious Songwriters Hall of Fame. Nash is also an internationally renowned photographer and visual artist whose work has been shown in galleries and museums worldwide, including the Smithsonian. Later this fall, he will release his memoir, Wild Tales: A Rock & Roll Life, chronicling his more than 50-years in music. Throughout his tour, Nash will continue his long-time tradition of raising money for charity through the Guacamole Fund’s special benefit seats; in addition, he will donate $1 per ticket sold to charity. For more, Marrakesh Express your way to: www.ParkTheatreRI.com. OK, I usually don’t condone trips to Boston to see music but in this case I have to make an exception. One of the downsides to living in RI is that we are often lumped into the Boston market (no, not the chicken place). In most areas of the country, sixty miles isn’t considered far to drive to see a show. Most people drive that distance to go grocery shopping. 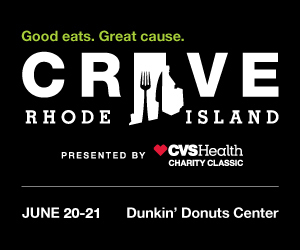 They obviously don’t know RI’ers which is why we have a Dunkin Donuts on every corner. So, many artists will play the Boston area and bypass RI. Lots of times we may never know they were even that close. I TRY to keep tabs on who is coming close enough to see, so when I heard that KT Tunstall was in our area I was kind of excited. 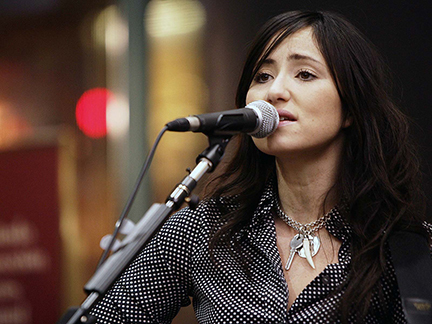 KT Tunstall will be playing at the Somerville Theatre on Wednesday, September 25th. The Scottish born Tunstall, who spent some of her early days busking on the streets of Burlington, VT, is recognized for her hits “Black Horse and the Cherry Tree” and “Suddenly I See”. The latter song has been used in many TV programs and movies and unfortunately, currently is the theme song for greed giant WalMart’s television commercials. As usual, I am late writing my column. Today is no exception. Today I am very, very, VERY late. Sometimes it has its benefits -like getting press releases as I am writing. I literally (yes, literally) just received notice that the Cowsills will be performing at SlaterPark on Sunday, September 22nd. Those that read this column may know that I am a HUGE Cowsills fan. The trio of Cowsills- Susan, Paul and Bob will be performing a 75 minute set as part of the Slater Park Fall Festival. Kayla Ringelheim, Rachel Ries and Dylan Lucas Block Harley will be at the Edward Everett Hale House in South Kingstown on September 14th at 7pm musicatlilypads.org. Common Fence Point gets its season started with Malcom Holcombe on September 14th and Lori McKenna on September 28th www.commonfencemusic.org. RISA’s Songwriters in the Round Show will happen at AS220 on Sunday, September 15th at 6pm with Andrea LaFazia, Jim Chapin and others, singing about the theme, “Too Late” www.risongwriters.com. At Fete in Olneyville Sara Lee Guthrie and Johnny Irion take the stage on Friday, September 6th and Leftover Salmon and Assembly of Dust are the following Friday, September 13th www.fetemusic.com. Stone Soup Coffeehouse is again opening the season with a free concert as part of the Pawtucket Arts Festival. The Stone Soup Sampler is on Saturday, September 28th from 2-6pm at St. Paul’s Episcopal Church. Performers are Alastair Moock, Danielle Miraglia, Shun Ng, and members of the Rolling Roots Revue www.stonesoupcoffeehouse.com.